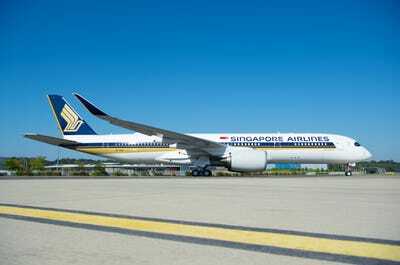 Singapore AirlinesThe Singapore Airlines Airbus A350-900 ULR. The standard Airbus A350-900 lists for $US317 million ($AU446.5 million). 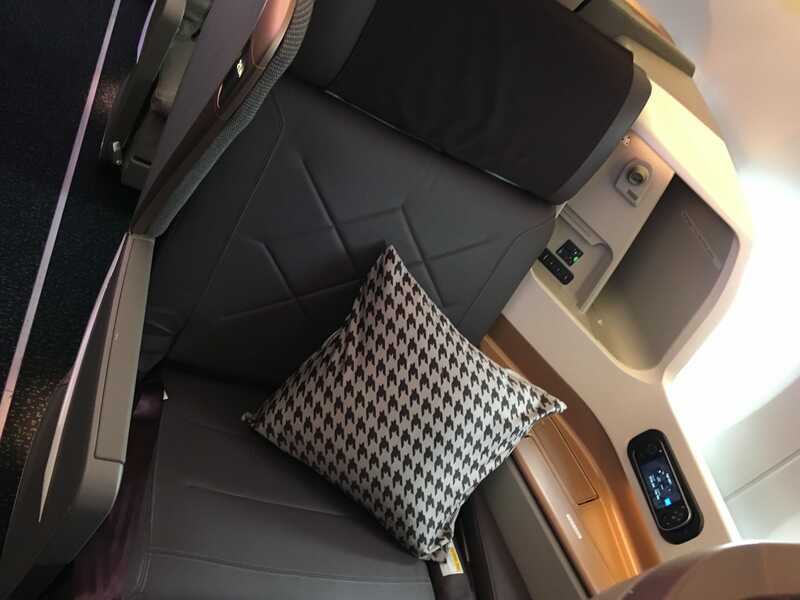 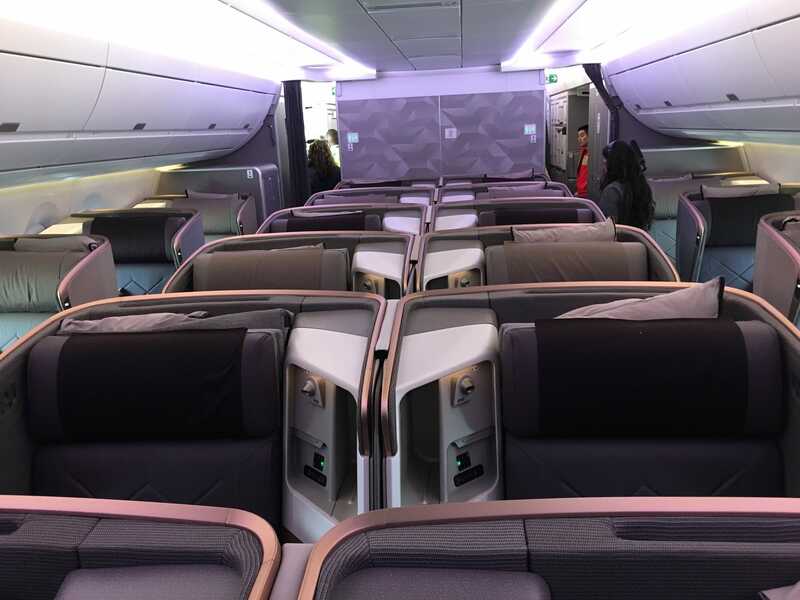 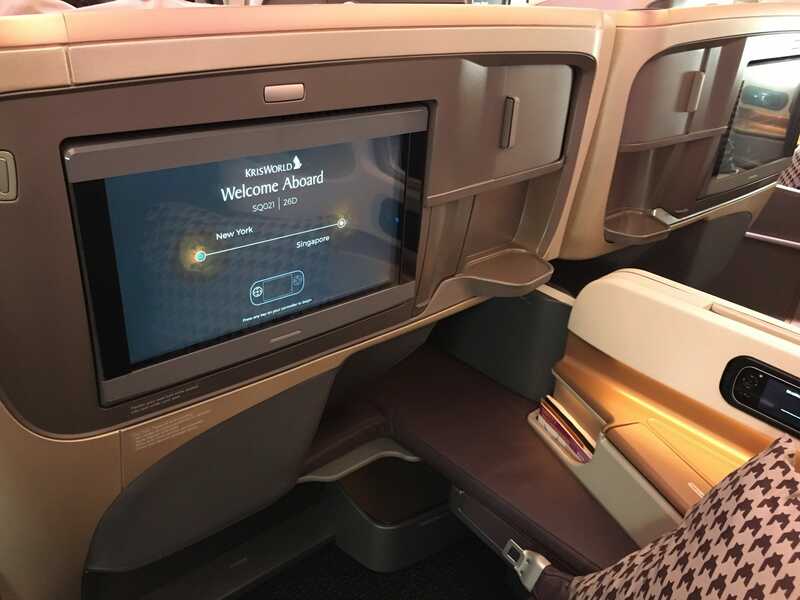 Last week, Singapore Airlines relaunched the longest flight in the world – a 10,000-mile non-stop service between its home base at Changi Airport in Singapore and Newark Liberty International Airport just outside of New York City. 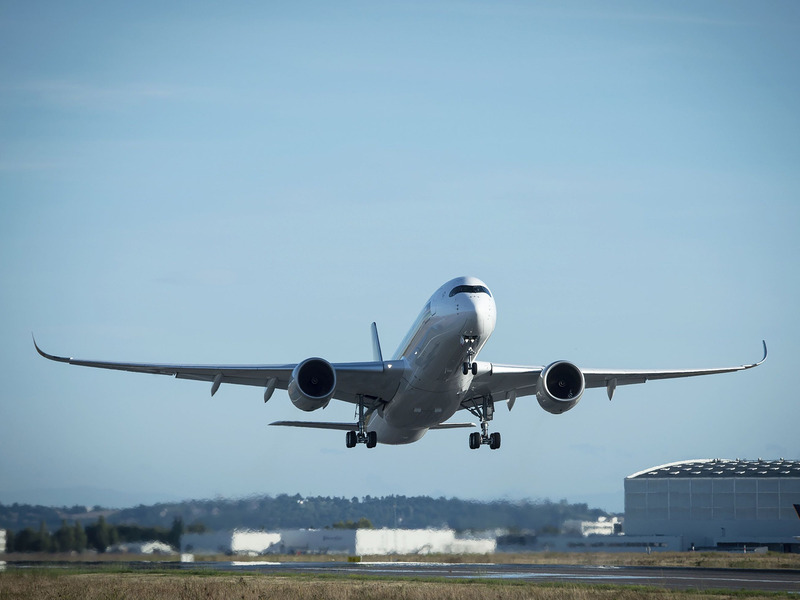 The 18-hour-long flight also marked the official debut of the Airbus A350-900 Ultra Long Range or ULR. The result is the Airbus A350-900 ULR. Even though the A350-900, which lists for $US317.4 million, entered service in 2015 with Qatar Airways, the first ULR wasn’t delivered to Singapore Airlines until the end of September. 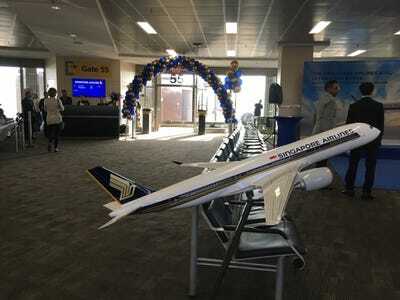 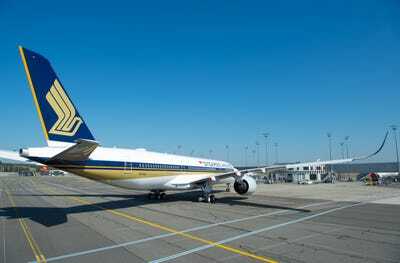 Singapore Airlines Flight SQ22 from Changi Airport to Newark Liberty International relaunched the longest route in the world. Flight SQ21 is the return flight from Newark back to Singapore. 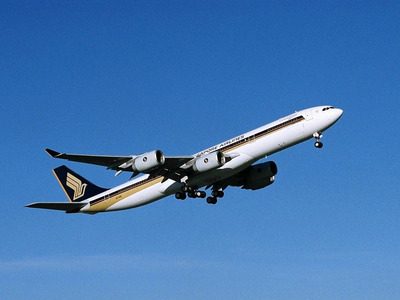 Flights SQ21 and SQ22 were previously operated using all-business class Airbus A340-500s. While the plane possessed exceptional range, its thirst for fuel hindered the route from making money. 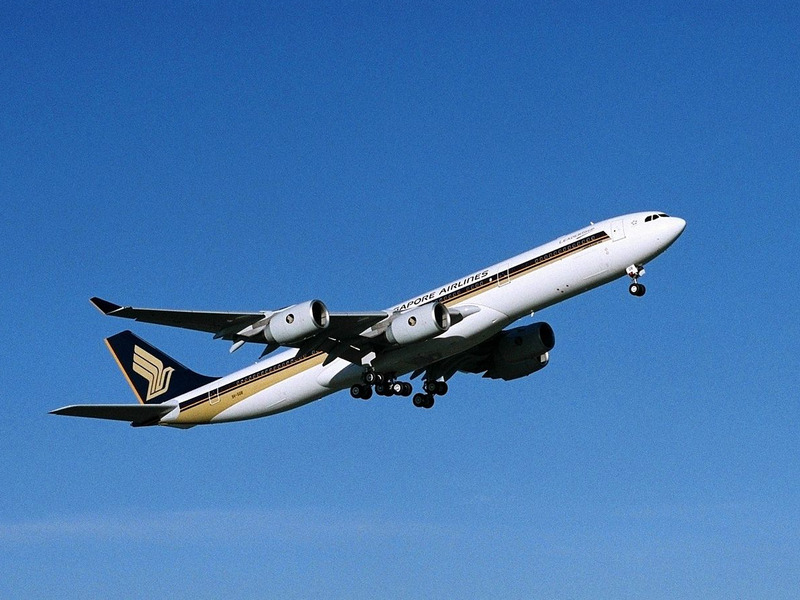 AirbusA Singapore Airlines Airbus A340-500. Fast forward half a decade and the route is back with the A350-900 ULR. 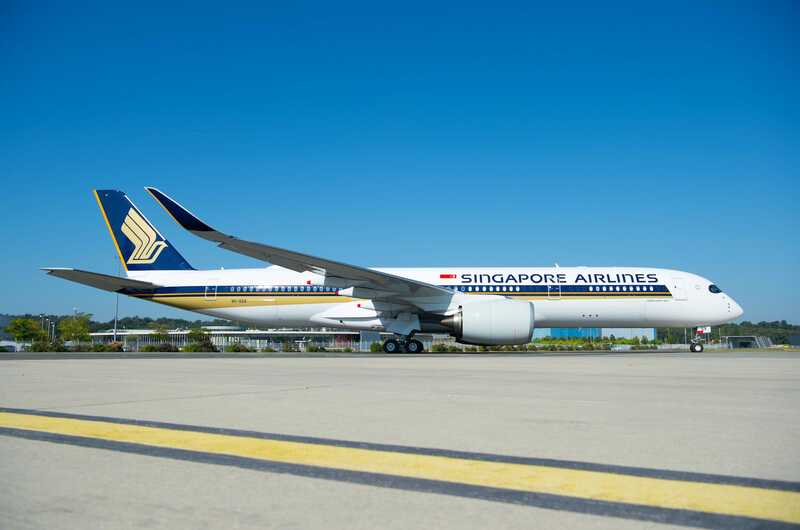 The ultra long range variant of the A350-900 is ultra rare. 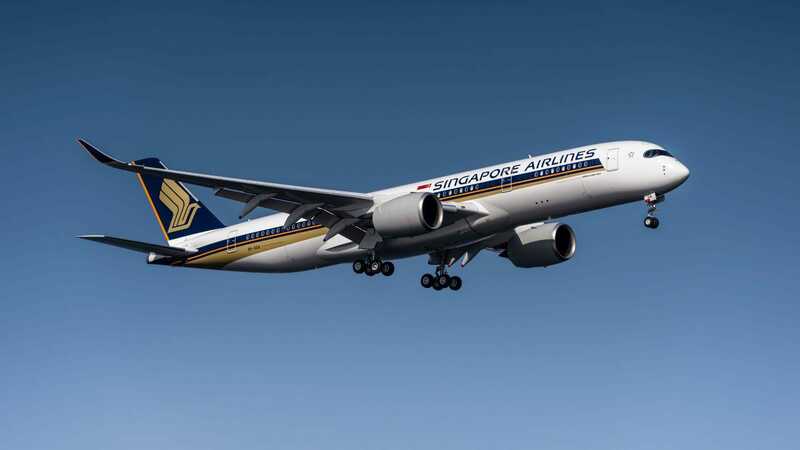 There are currently only seven of the planes slated to be built — all for Singapore Airlines. The A350-900 ULR first flew in April. 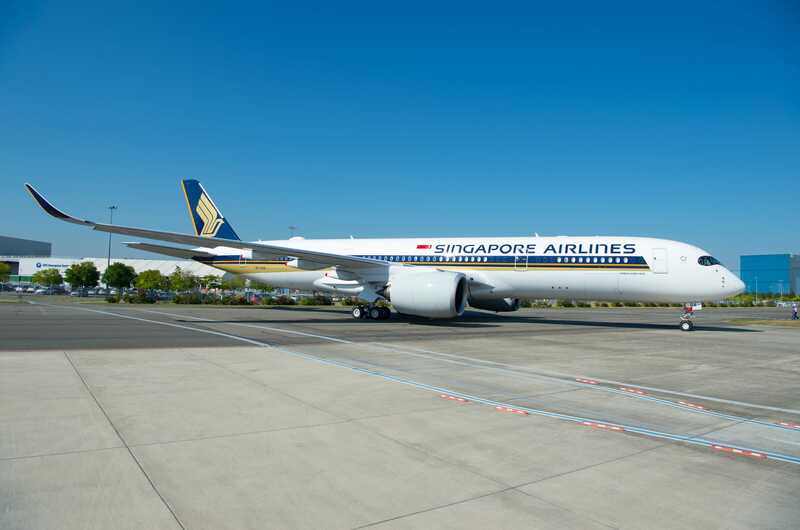 The first aircraft was delivered to Singapore Airlines in late September. 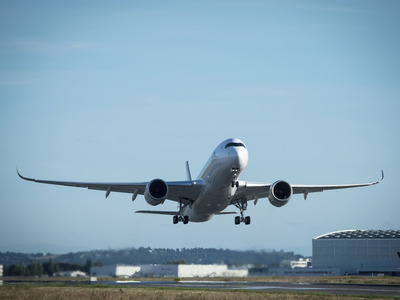 The A350-900’s carbon composite fuselage is 219 feet long and 56 feet tall. Its aerodynamically optimised wings span is 219.5 feet. 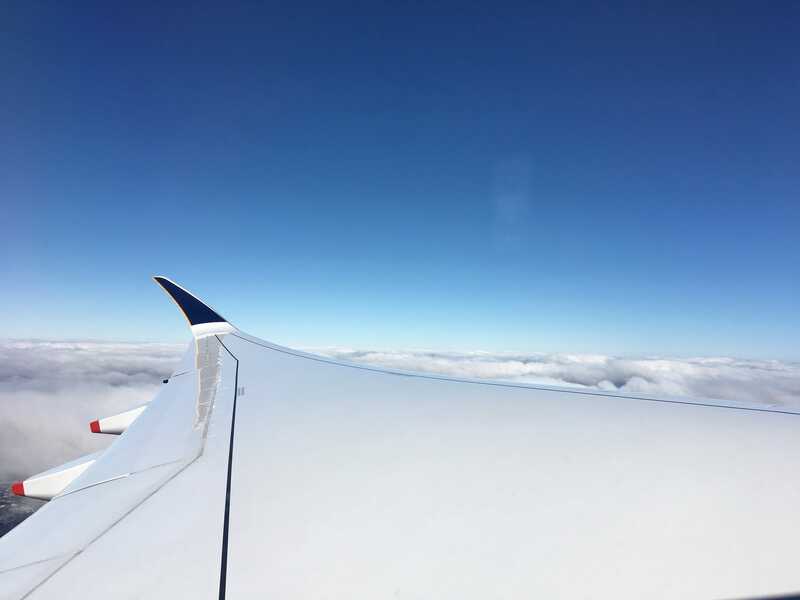 Power comes from a pair of ultra-efficient Rolls-Royce Trent XWB turbofan engines. 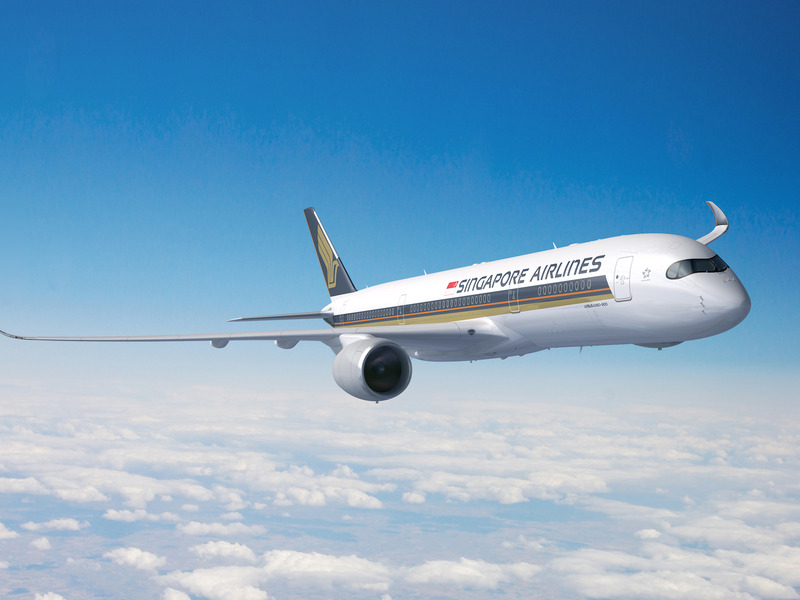 Together with the slippery aero package, the A350 is 25% more fuel efficient than the aircraft it replaces. 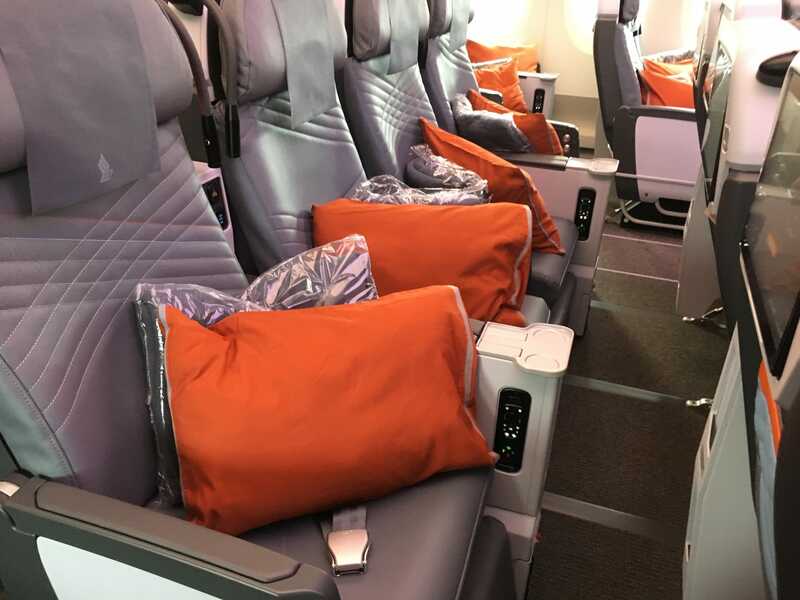 …Premium economy. 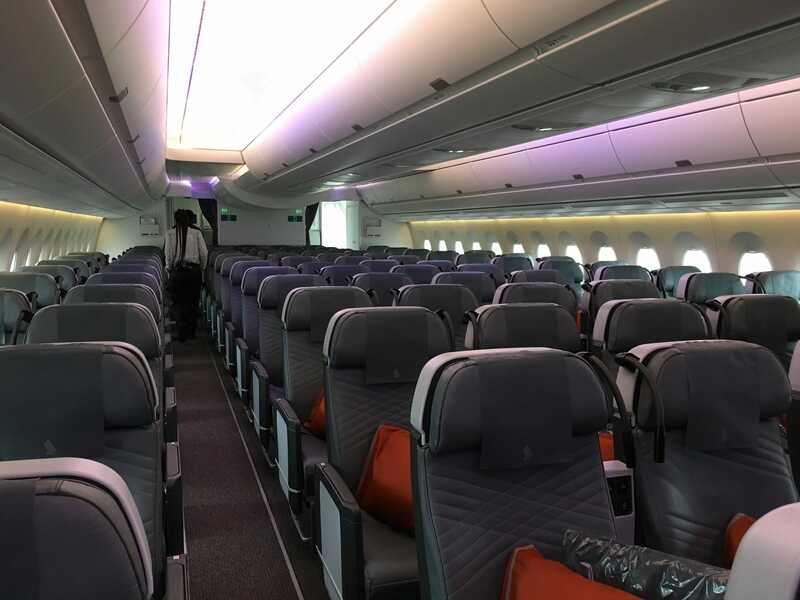 That’s about 90 seats fewer than Singapore’s regular long-haul A350-900s. 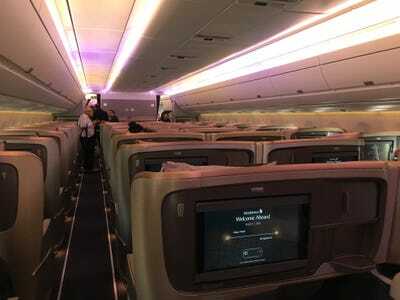 The front 2/3s of the aircraft is the business class cabin. It’s set up in a 1-2-1 configuration. 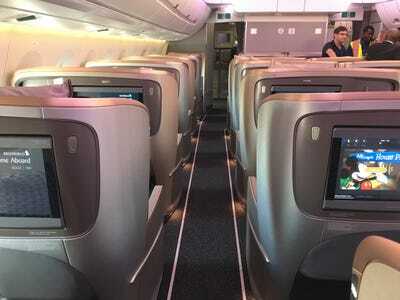 Everyone one of the 67 business class seats has direct aisle access and an 18-inch entertainment screen. 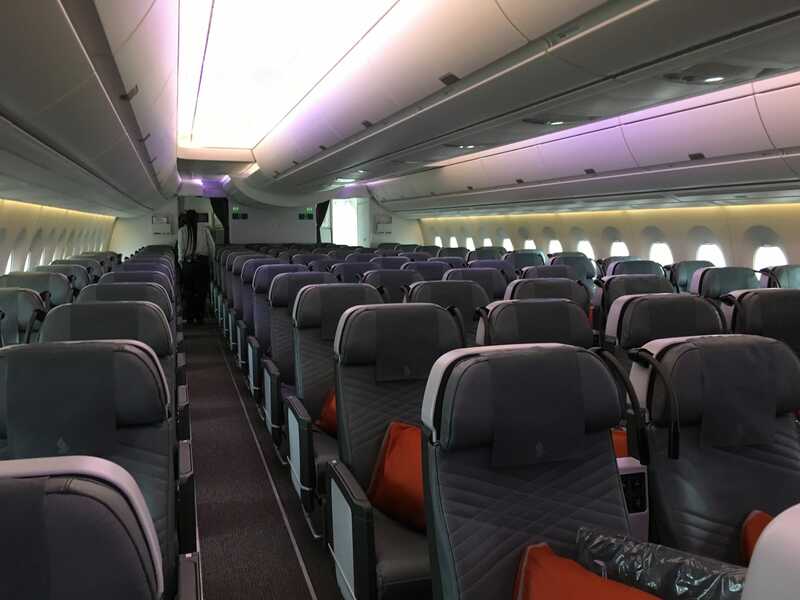 Each seat is 28 inches wide and can recline up to 132 degrees. 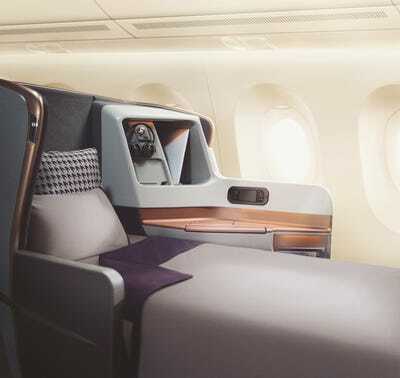 The seat can fold forward to create a 78-inch-long bed. … The premium economy cabin. 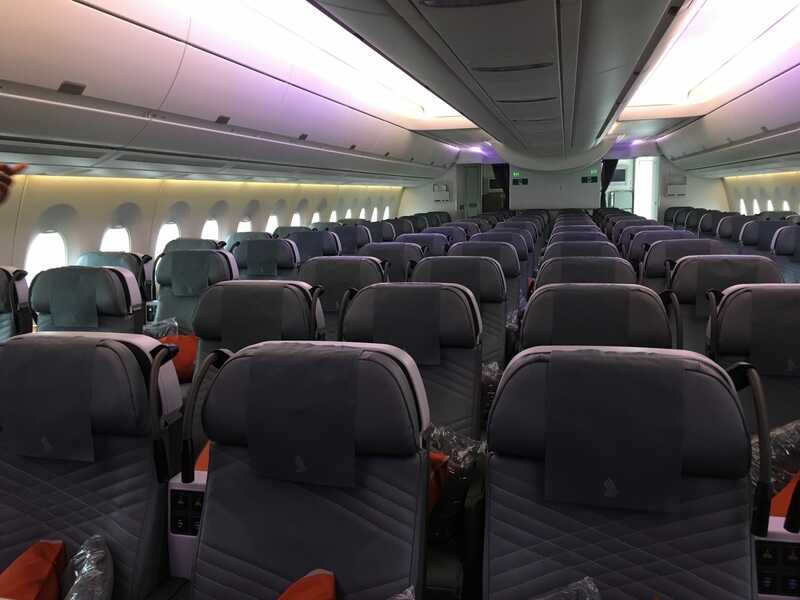 There are 94 seats here. There are eight seats per row organised in a 2-4-2 layout. 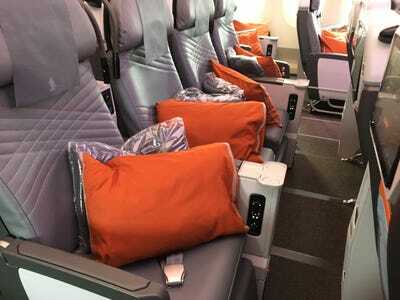 Each premium economy seat boasts 38 inches of seat pitch – half a foot more than you would get in an economy cabin. 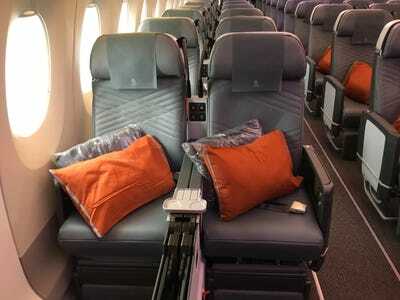 Seat pitch is simply the amount of room between two rows. The seats are also 19 inches wide. 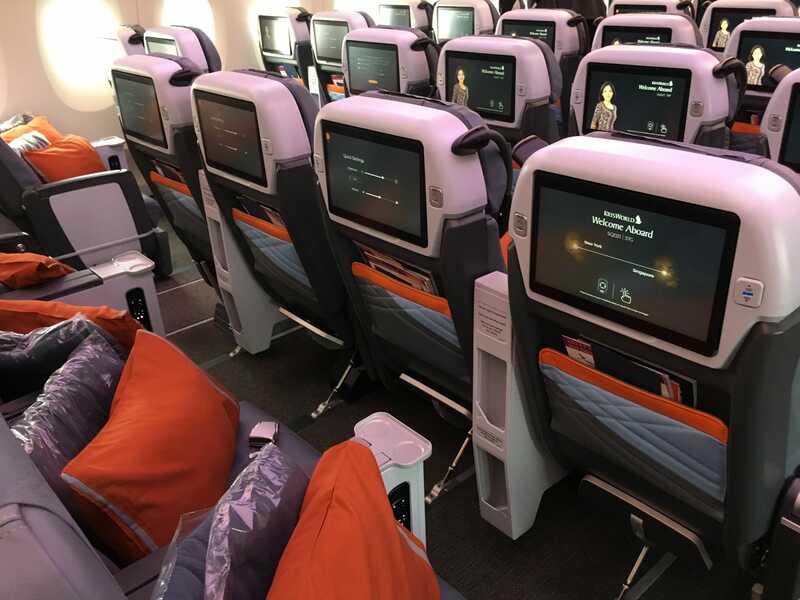 Each seat is equipped with a 13.3-inch entertainment screen. Also located near the rear of the aircraft is the crew rest where the flight attendants rest during the flight. 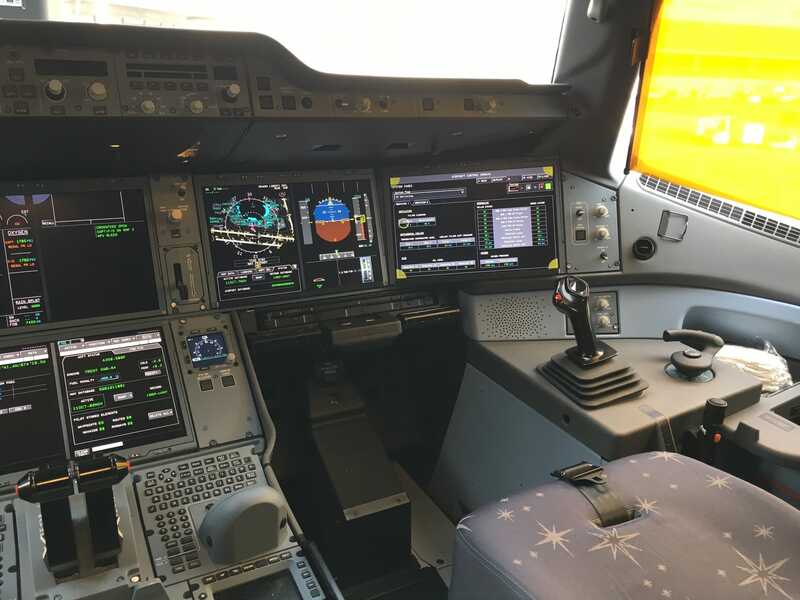 There is room for as many as eight crew members here. 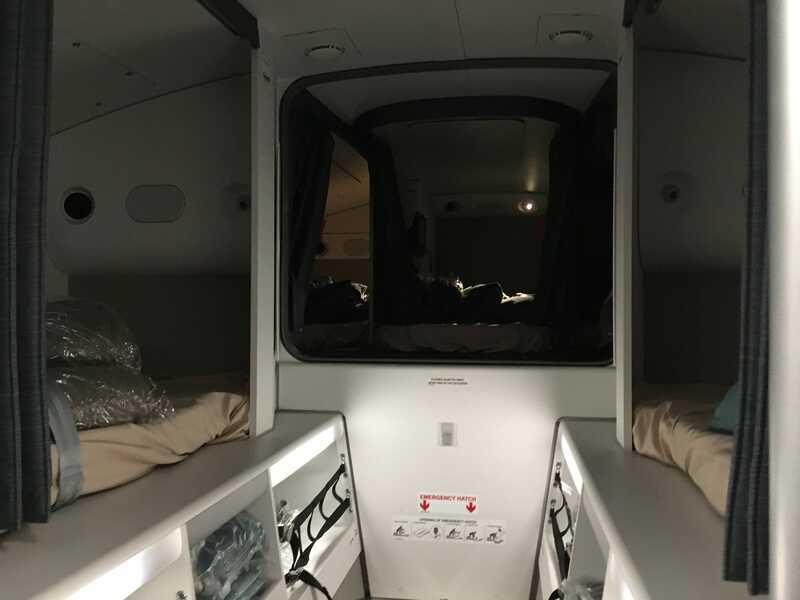 The pilot’s rest compartment is located in the front of the aircraft. The aircraft is also equipped with three galleys. 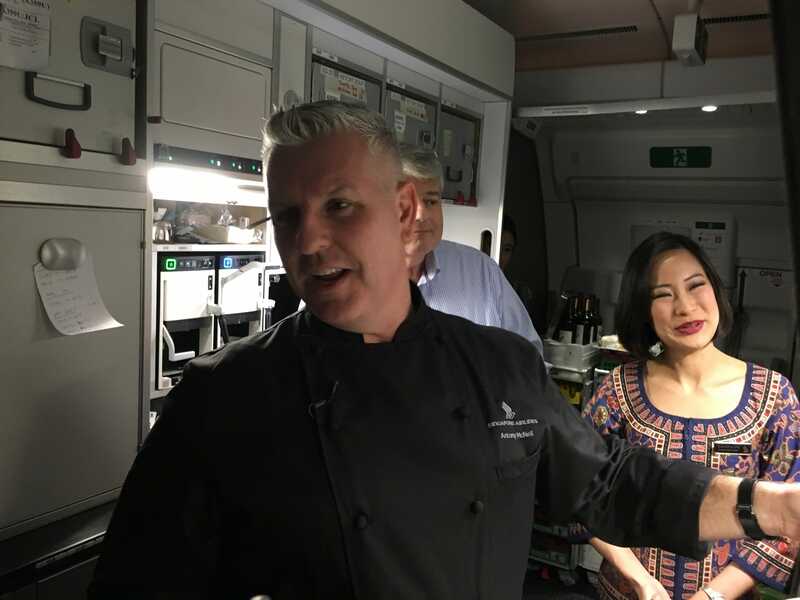 Here’s Singapore Airlines’ director of food and beverage, chef Antony McNeil giving a tutorial on proper plating technique in one of the business class galleys. 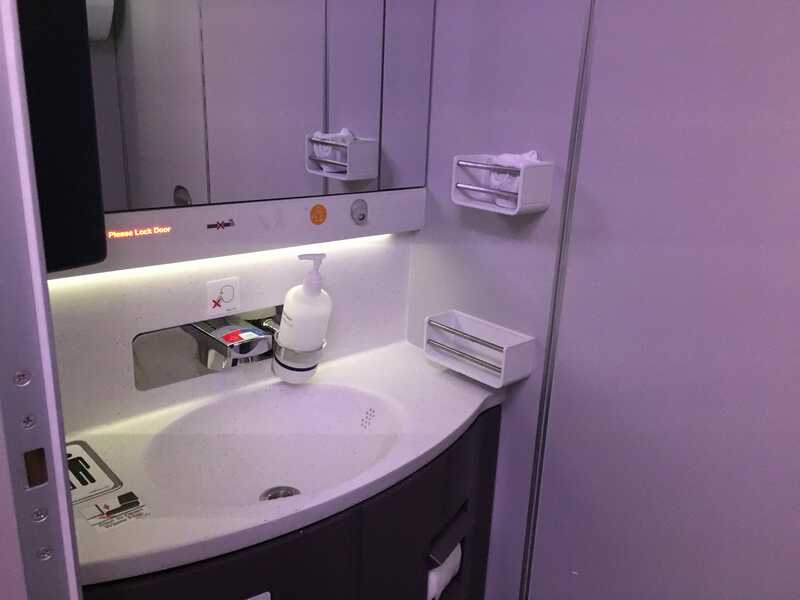 Here’s a look at one of the plane’s business class lavatories. 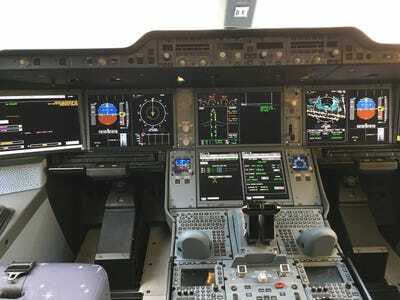 At the front of the aircraft, there’s a high tech and relatively spacious cockpit. As with all modern Airbus aircraft, the A350 uses side stick controllers instead of traditional yokes. All seven of the Singapore Airlines Airbus A350-900 ULRs are expected to be delivered by the end of 2018.